Once again, it has been absolutely ages since I’ve posted anything. 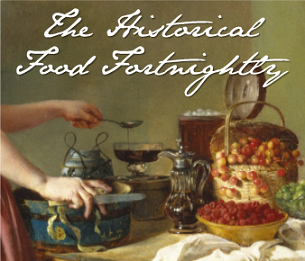 Unfortunately, the Historical Food Fortnightly isn’t happening this year but don’t worry. This year, Marisa McClellan over at Food in Jars is running a challenge encouraging people to master different types of preserving. Given that food preservation was so important for historical cooks, I thought I’d give it a go. The January challenge was to make marmalade and I’m too late to enter the official challenge (gee, what a surprise!) but my marmalade is done. We’ve got some really lovely grapefruit available at the moment, they’re super sweet and juicy. Because I had all these grapefruits, I didn’t want a mixed fruit marmalade recipe, but pure grapefruit recipes were actually quite hard to find. In the end, I stumbled across this recipe from the Los Angeles Times Cook Book No. 2 which was published around 1905. Take four large fruit, slice thin and remove seeds; for each pound of fruit add one pint of water. Let stand twenty-four hours; boil twenty minutes until tender; stand again twenty-four hours. For each pound of fruit add one pound of sugar and boil till jellied. The cookbook was one of a series published in the early 20th century by the LA Times Newspaper. They collated recipes from readers and entrants into their recipe competitions, and many are attributed to particular people. This is a whole fruit marmalade, which means that it contains the whole fruit. On the upside, using the whole fruit means that you get more product and that there is very little waste. On the downside, it makes the marmalade very bitter. I quite like marmalade, but I’d have to say that this is really a bit too bitter for my taste. It makes for a bit of a conundrum because the marmalade smells so good that you want to eat more and more of it, but then you get hit by this medicinal aftertaste that makes you regret the decision. Luckily, the marmalade is going to be great as a glaze for roast meat so it will get used eventually. I’ve also used it to make this ricotta tart, which isn’t historical but does have a very medieval flavour profile with the ricotta, pine nuts and orange water (rosewater makes a good substitute too). The Los Angeles Times, Los Angeles Times Cook Book No. 2, 74. Scrub the outside of your grapefruit well to remove any wax. Slice them as thinly as possible, removing the ends with no flesh and any seeds. Weight them and place them in a large bowl with 475ml of water for each 450g of fruit. Cover and place in refrigerator for 24 hours. The next day, transfer the fruit and water to a large saucepan. Bring the mixture to the boil and boil for 20 minutes or until the grapefruit rind is soft. Allow to cool, then cover and place in the refrigerator for another 24 hours. The following day, weigh the fruit mixture. Place it in a large saucepan with an equal weight of sugar. Bring the mixture to the boil and cook until it is jellied. You can test for set by putting a small spoonful on a cold saucer. If you push it with your finger and the top of the jelly wrinkles, then it is ready (for full instructions see Food in Jars). Spoon into sterilised jars and cover. How did you make it? See above. How successful was it? : I had a lot of difficulty getting it to set, even when the temperature was at 105˚C. In the end, it didn’t set the first time that I bottled it. I boiled it up again the next day and it eventually set very nicely. I’ve had this problem with marmalade before, more so than with other jams. Apparently I’ve still got a while to go before I can claim to have mastered marmalades! How accurate? : Given that the recipe is so simple, I’d say it’s pretty accurate. The biggest difference is probably to do with the variety of grapefruits which would have been used in California in the early 1900s. Presumably grapefruits have been bred to be sweeter over time, and they certainly have been bred to have less seeds. I also wasn’t sure if the slices where the right shape, or thin enough. Perhaps they should have been semi-circles instead, and that might have allowed for thinner slices. The Los Angeles Times. Los Angeles Times Cook Book No. 2. Los Angeles, California: The Times-Mirror Company, 1905. This entry was posted in Food in Jars Mastery Challenge and tagged 20th Century, American, California, Fruit, Grapefruit, Jam, Marmalade, Preserves, Preserving. Bookmark the permalink. What a lovely project! Tying the seeds in muslin bouquet grain style and boiling them up with the fruit should help the mixture set. You can reduce the bitterness by peeling the skin from the fruit and removing the white pith which can be really thick on grapefruit. Slice the peel and cook it in with the the fruit sans pith. For historical grapefruit marmalade recipes search for shaddock, which was the common name until the late C19th. Worth trying it with duck ‘a l’orange’ style or 50/50 with orange marmalade as modern oranges have become sweeter too. Happy cooking! Thanks, and lovely to hear from you! Yes you’re absolutely right that I could have made it less bitter by removing the pith, but that would produce a cut rind marmalade instead of a whole fruit marmalade which is what the instructions suggest. You’re also right that there are loads more recipes for shaddock, but the problem is that shaddock was the name used for both pomelo and grapefruit, so it’s difficult to know which one they are referring to. Duck a l’orange sounds like an excellent idea! © Kim Connor and Turnspit & Table, 2017. Unauthorized use and/or duplication of this material without express and written permission from this site’s author and/or owner is strictly prohibited. Short quotations and links may be used, provided that full and clear credit is given to Kim Connor and Turnspit & Table with appropriate and specific direction to the original content.